The cloud computing market is taking businesses by storm with a projected worth of USD 411 billion by 2020. The factors driving this growth are undeniable with the delivery comprising of improved ability, agility, resiliency, responsiveness and accelerated product innovation. India is increasingly transitioning from delivery centres to innovation centres. “To be a part of the challenging market speeds, you cannot depend on the old traditional method of waiting for the infrastructure to be built in two to three months. We need to use cloud infrastructure where you don’t need to worry about the infrastructure but just focus on your product development,” explains Chakradhar Sriperumbudur(Swamy),COO/ CIO, Infomerica. Highly equipped to transport businesses along the current advancements in cloud computing is Infomerica, headquartered in North Carolina with delivery centres in Texas, USA and Hyderabad & Bangalore,India, with its portfolio of cloud offerings for enterprises at all levels whilst imparting insights on cloud providers such as AWS, Azure, IBM BlueMix, Google or Oracle cloud. business proposition for their customers, successfully aid the workforce along the course of the transformation and map out the future of the company. An important aspect for businesses is data governance which is where the company’s hybrid cloud offering comes into play where the team assists customers to define proper data governance and build identity management with proper user access management to work on the legacy applications in a hybrid cloud environment. Meticulously defining a cloud migration strategy, Infomerica considers the business criticality factor, application complexity factor and business constraints and application behaviour/dependency/character matrix. The extremely skilled architects at Infomerica follow the out come based models and provide IP based custom solutions thus increasing its market value. 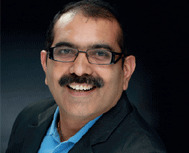 A Software Development and Systems Integration company delivering cloud computing solutions and services, Infomerica with InfoSmart BI, the brain child of Krupal Annugu, gives visual effects to a strong backend to deal with copious amounts of data using most of the open-source stack and covering the entire suite of full stack, including best GUI interface and ML for predictive analytics. Additionally, MapRecruit, the brain child of Shivaji Mukthavaram enables HR to instantaneously scale up to deal with any magnitude of resumes with inbuilt capability of ML, AI and BOT calling facilities. Moving businesses into the cloud, Infomerica is working on building its own frame work ICF (Infomerica Cloud Framework) and tools to make the cloud adaption and migration easy for customers. Also, the company is venturing out to increase its footprint across India in the near future.